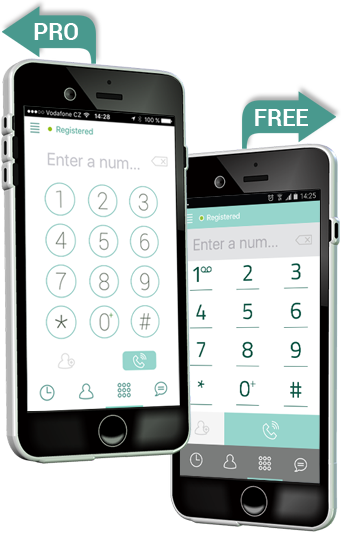 Launching the application you get an additional (2nd) real phone number. The second phone number will allow you to separate Personal and Work communication. PriCall as a SIP phone dialer allows to make cheap international calls. You can download the application and start calling your friends or chatting with them – its FREE! The application allows to make calls all PriCall users for FREE. Wherever you are, enjoy FREE chat with your beloved, friends and colleagues. What is it for? Watch our video presentation and download the application. Perfect solution for making cheap international calls! PriCall is a mobile App which connects people around the world! 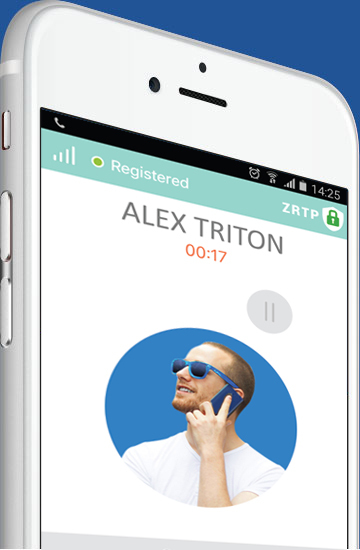 It is a cross platform mobile dialler which allows to communicate with a help of messages, make voice calls, share pictures (other types of files, such as music, video, etc. will be available later) as well as many other features all without any costs involved*. Additionally, the PriCall is one of the cheapest VoIP services for national and international calls. With a help of PriCall everyone can make VoIP calls with iPhones or Android mobile phones using just WiFi or mobile data plan*. It means the customer will not use any minute of his/her mobile service provider to make local or international calls*. Having PriCall in your mobile phone or tablet, you never have to worry about high roaming costs abroad anymore*! When you are abroad, simply use PriCall over an available WiFi network. Whether you are in a restaurant or hotel room, you can save on mobile calling charges when traveling abroad. Simply install our free app, register, choose one of our plans and start saving loads of money on your international calls! *Network data charges may apply. Contact your provider for details. PriCall are 2x mobile Apps which connect people around the world! Both applications are cross platform mobile diallers which allow their subscribers to communicate with a help of messages, make voice calls, share pictures, etc. Copyright © 2018-2019 PriCall s.r.o. | All Rights Reserved. By canceling you will not gain access to the service.